It may not have been electricity, but something has also boosted the Copenhagen bike-sharing program: Usage grew from just 169,000 rides in 2015 to 933,000 last year and the program, called Bycyklen, is on track for similar usage this year. That might be just enough to keep Bycyklen from falling over. Private cycling is still much bigger, at 408 million journeys in 2016, according to a report [PDF] this month by Denmark’s so-called “Cycling Embassy”. But that’s not the point: these bikes were supposed to encourage people to reduce car use. But the Cycling Embassy report does not offer statistics on how many people made bike journeys instead of car journeys, or what Bycklen’s contribution to that might have been. City planners around the world want to get people out of polluting, space-hogging cars and into public transport and electric bicycles are a tantalizing means. 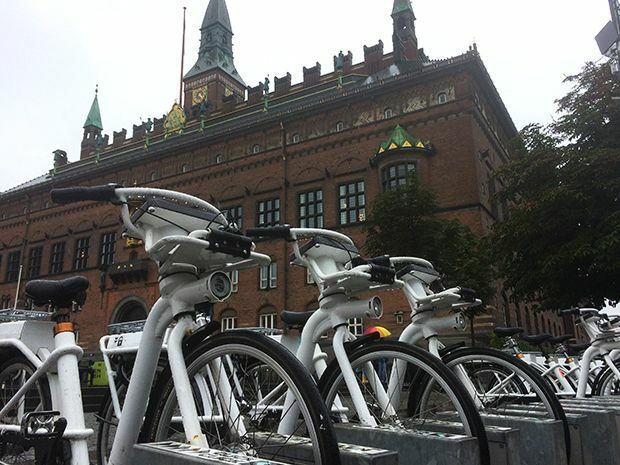 When IEEE Spectrum last visited Copenhagen (see “Copenhagen Pioneers Smart Electric-Bike Sharing”, IEEE Spectrum, 17 December 2013), the electric-bike-sharing program was in its pilot phase, with just a few dozen users. Bicyklen took two years to reach maturity, with all 1860 bikes delivered and 87 of a planned 105 docking stations installed around Copenhagen by late 2015. 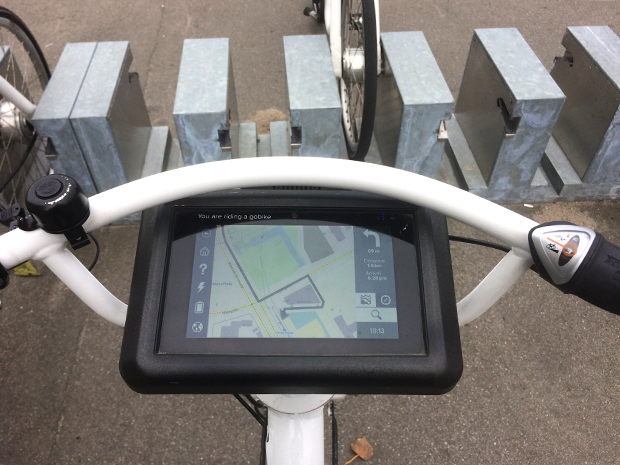 The bicycles are ambitious: they all contain a tablet computer on the handlebar that allows users to log in and unlock bicycles, manage their accounts, and navigate to a destination or find nearby docking stations. But they are expensive: a 2013 story reported that they cost around 17,000 DKK (about US$ 2833 at the time), though they were leased for about a third of that per year. The Danish national train service and Copenhagen’s municipal governments paid around US$ 1.23 million a year to the operators. Users pay 30 DKK (US $4.60) per hour or get discounts for paying in advance or via subscription. Despite those sources of revenue, the company that imported the bikes, Gobike, went under in March 2017 and the Bycyklen operator, Bikeshare, underwent a restructuring that included the pro-public transport City and Commuter Bike Foundation stepping in to rescue the system in April. Such failures are common. Madrid, which launched its service in 2014 (“Madrid Begins Electric Bike Sharing”, IEEE Spectrum, 29 July 2014) has had to take over operations from the private company, Bonopark, that held the €25 million, ten-year contract. Even Bixi, the bike provider to New York City, London, and Montreal, had financial troubles. Last month, Wukong Bikes in China also declared bankruptcy. Despite such discouragements, public docking stations in Copenhagen, Madrid, and other cities now have competition from smaller private conventional bike-sharing networks launched in 2015 by a company called Donkey Republic. Users can unlock bikes via their mobile phones using a Bluetooth signal. (The name comes from the simplicity of using a donkey for transport.) But if they are going to make it in the “vandal-burns-bicycle” world out there, this and every other bike-sharing system will have to be more robust and affordable than the first-generation attempts have proven. Here’s hoping that the electric tablet-enabled bikes and the simple black Donkey bikes are both up to the challenge. Bicycles may offer city dwellers health benefits over cars, and despite their slow start, even clunky electric citybikes offer a better ride. First published by IEEE Spectrum: [html] [pdf].